Ready for some updated information and stats on FSBO’s in America? Only 8% of recent home sales were For Sale by Owner (or FSBO) sales for the second year in a row. This is the lowest share recorded since the NAR began reporting these stats in 1981. 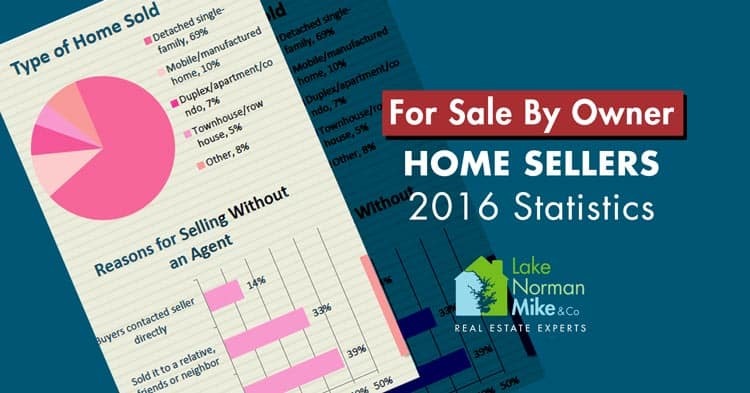 Every year, the National Association of Realtors® puts together a report on home buyers and sellers called the “Profile of Home Buyers and Sellers”. This report is based on a large nationwide survey in order to determine current trends in the real estate market and gauge how things are changing in how buyers and sellers behave. Please see below for an infographic based on the report. Graphic and contents are all copyright NAR, used for educational purposes only. Want Step-by-Step Instructions on How to Sell your House For Sale By Owner in North Carolina? Click here for a FSBO how-to Guide . One interesting fact not mentioned in the above infographic is that FSBO sellers in the south atlantic subregion of the USA (the eastern seaboard from FL to WV) For Sale By Owners represent 9% of listings as opposed to the national average of 8%.